When you read this name you will think there is an operation launched by the government of India to catch the most wanted criminal of India as well as the world, but you are wrong because Indian government are still not capable of this task because they just unveil this news that they will catch him so that he becomes alert and will not be defeated. If they want to do to they will have to work like USA, who killed Osama. Recently Home Minister of India Sushil kumar Shinde has told in press conference that they will soon catch Dawood Ibrahim and bring him back to India with the help of FBI an intelligence agency of USA. They think that Dawood is like a cat that they say and he will be catched. The defeating of Dawood is an issue and it has been told every time at the time of elections only and then nothing happens. First catch him and then say to the public as the public knows that this sentence is told every time when elections are near. 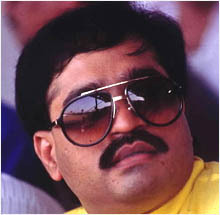 Dawood Ibrahim has many cases of smuggling, kidnapping, extortion and even terrorism after the ‘93 bomb blast in Mumbai. The media, film directors etc. have made him famous as he is a hero by making films on him. One such film came D-day in which the Dawood got catch by the police and bring him to India which can just happen in the films. In real world this cannot be done and even the Indian government does not have his present images as how he looks. They just have 3-4 images which are viral and are just shown. Dawood Ibrahim was supported by the ISI and Pakistan to hide and do crime. Even now he is hiding somewhere in Pakistan or Dubai which are his places to hide and control the business. Even today the whole India is afraid of him as his men who work under him are harassing people and other celebrities for extortion money and killing the people. There is one good dialogue in movie Don “Don ko pakadna mushkil hi nahi na mumkin hai…!! !” it best suits him as the government cannot catch him. The main mistake of Indian Government is that whenever they go for such missions they first disclose it in public so if they are gonna be catched will not be catched. Let’s see what happens this time as Home Minister has told it in full confidence to catch Dawood.